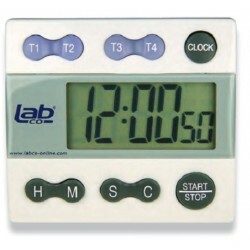 Standard Laboratory Timers There are 3 products. Counts up to 99 hours count down. Alarm and count-up function once zero is reached. Counts down from 23hrs, 59mins,59secs, and up to 60 min with alarm for 1 min duration. 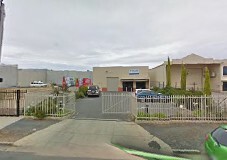 Clips, stands or hangs. 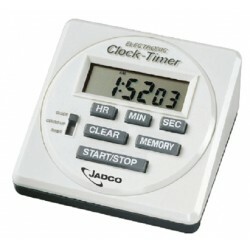 Timer and clock, 90x90mm, counts up to 23 hours, 59 min, 59 sec. 12 or 24 hour time selectable. Auto time memory.